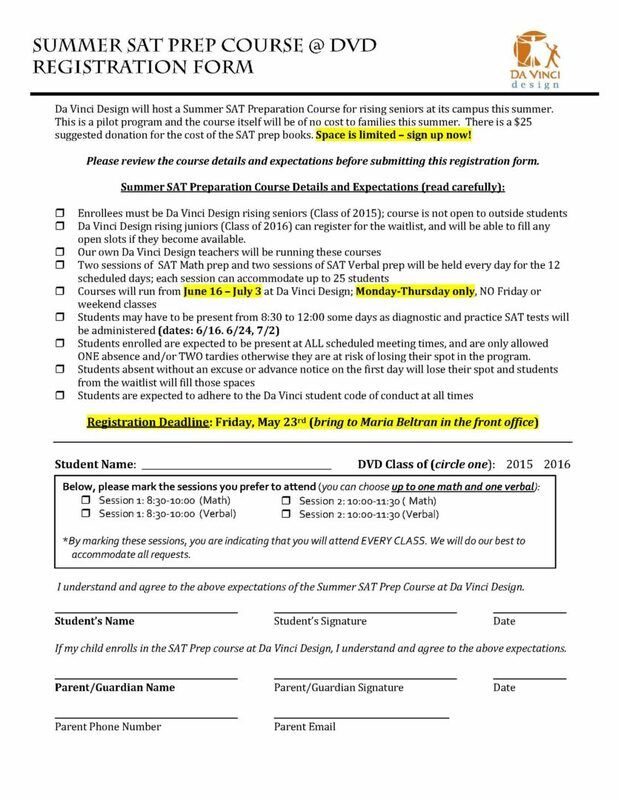 Current 10th and 11th graders can still sign up for the Summer SAT Prep Course at Da Vinci Design! Spots are still available! Registration form is below (can print out) or you can get one from Maria Beltran in the front office!